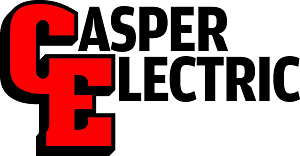 Casper Electric began as a small family-owned business, and we strive to maintain a family-like atmosphere. Wyoming has stringent electrical licensing requirements, and we provide mentoring to all of our employees as they work to attain licensing. We offer a competitive salary and a benefits package that includes health, dental, and vision insurance as well as retirement and vacation pay. Casper Electric is an Equal Opportunity Employer. Click here to learn about Wyoming electrical requirements. Person will be working with management staff and field personnel to support the building of small to large scale commercial, highway and industrial civil/electrical projects. Duties include: Working with project managers (Professional Engineers, P.E.) to document projects start to finish. Putting together estimates, engineering, submittal packages, meeting notes, transmittals, requests for interpretation, spreadsheets, material quotes, orders and verification, pre-construction layout, scheduling, field inspection, etc. Valid driver’s license is required. Travel in Wyoming and Colorado is required 50% of time and is project dependent. 4 year college degree is required in Construction Management or any specialty of Engineering. Duties Include: drilling caissons, trenching & conduit installation, setting of poles & towers, installation of signals and other associated equipment. Typical projects include construction of traffic signals, highway & street lighting, and intelligent transportation systems (ITS). Employees must enroll in Approved Wyoming Electrical Apprentice program (or courses), Ability to get Class A CDL is a must. Candidate will learn to operate backhoe, trencher, digger derrick truck, bucket truck, and other equipment as necessary. Travel required within Wyoming & Colorado. Duties include: Receiving of materials from various suppliers, checking delivery tickets to purchase orders, dealing with damaged shipments, storing material in an organized fashion in warehouse, and loading/delivery of these materials to various job sites. Some overnight stays may be required. Need a valid WY drivers license, clean driving record, computer skills (MS Office), ability to drive a manual (stick) shift vehicle, operate forklift, stake bed truck, and lift gate. Class A CDL or ability to obtain one is a plus. Heavy lifting is required. Use the form below to upload your resume, or fax to 307-237-3009. For more information, call 307-237-3003 or stop by for an application. General Contractor for installation of 100’ tall self-supported communications tower. Work included foundation design and construction, erection of steel tower cable ladder, antenna mounting brackets, and conduit installation. Complete electrical and low voltage systems historic renovation and addition to Wyoming’s largest high school. Work included all electrical and low voltage systems and historic preservation and renovation work. Multi-year project of 150,000 square feet of renovation and 150,000 square feet of new addition. Casper Electric was brought in during the design phase of the project by the General CMAR. Subcontractor for installation of Musco sports lighting system at Kelly Walsh track & field. Work included drilled shaft foundations, conduit, 80’ steel monopole cell tower installation, wiring & luminaires.